From the dynamic duo behind Icebergs Dining Room and North Bondi Italian, Maurice Terzini and Robert Marchetti, Neild Avenue has shaken the Sydney restaurant scene with its unique design concept by Italian-based Australian designer Carl Pickering (of Lazzarini Pickering), the Mediterranean menu (that scored a whopping 15/20 by Terry Durack) and the casual $3 million that it took to create. 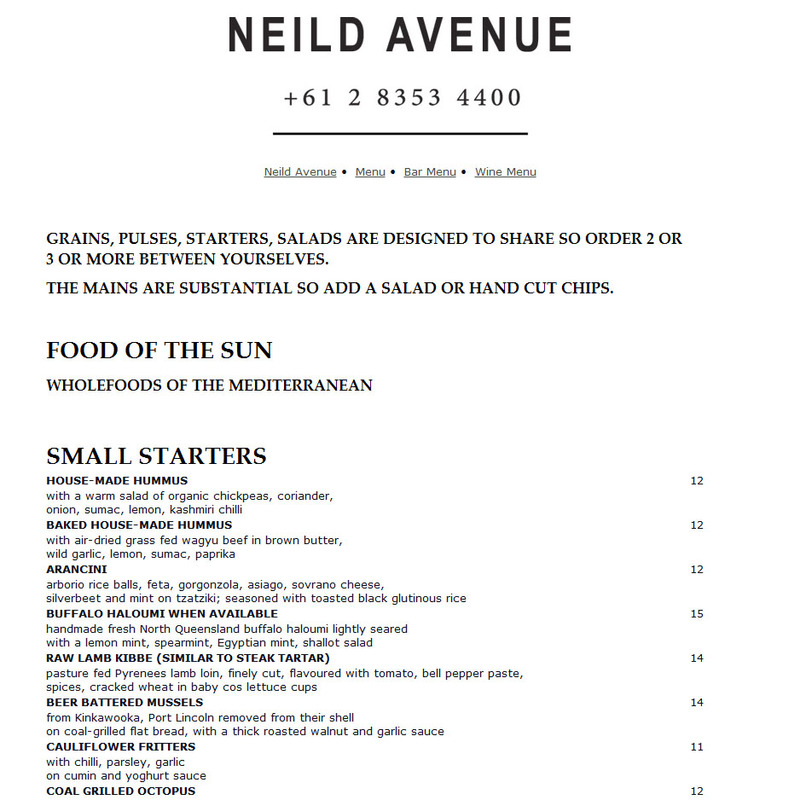 Walking up Neild Avenue, Carl is right, it feels like you’re going to the theatre, not to dinner. The huge dark building gives diners little inkling as to what lies behind its shaded windows. 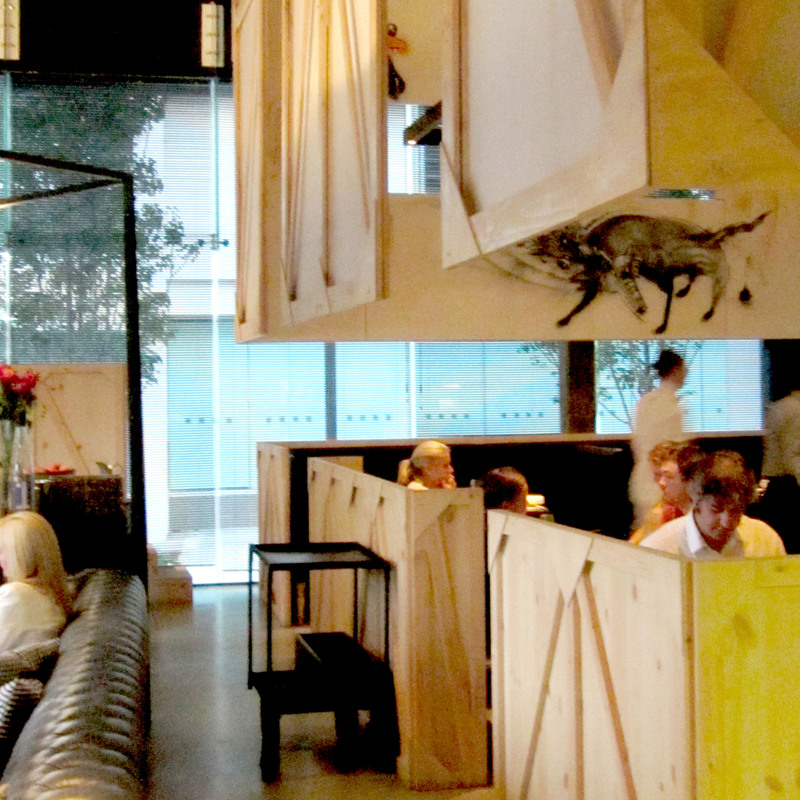 Once inside, the first thing you notice is the height of the restaurant’s ceiling – you don’t know where to look. Despite boasting all the characteristics of an industrial warehouse – oversized wrought iron beams, dark lighting and exposed brick walls – the space is eerily intimate. A collection of leather stools and lounges create small gatherings of people while the waiters, dressed completely in white, flit around with drinks and snacks. There are also various practical elements to the restaurant, such as a huge rigging system, that dangerously looms overhead, which can drop a ready-made private function room right into the middle of the restaurant. A long, elegant bar splits the restaurant space in two, with the drinking area to one side and the restaurant to the other. A mini charcuterie counter sits at the entrance, where cured meats seductively hang behind glass cabinets; visual reminders that this is actually a restaurant. The bar menu is surprisingly substantial and not outrageously priced either with coal-grilled lamb kebabs, pretzels, fish sandwiches and, for the more adventurous, raw lamb kibbe. The restaurant menu is detailed and informative with instructions for quantity sizes and also footnotes detailing unusual ingredients. Broken up into ancient soups, starters, seafood, birds and meat, a particular standout on the menu is the quinoa salad with mint and chickpeas. One also can’t go past the vine leaves stuffed with brown rice and toasted pine nuts. The coal-roasted free range organic chicken is butterflied and served with rice pilaf, chickpeas, coriander and parsley and lemon salad. The dishes are all designed for sharing, the way traditional Mediterrean should be enjoyed. Yet after only four months of Neild Avenue’s opening, Terzini and Marchetti split paths leaving Neild Avenue advocates slightly worried. Marchetti will keep North Bondi Italian while Terzini will remain sole owner of Neild Avenue and Icebergs. 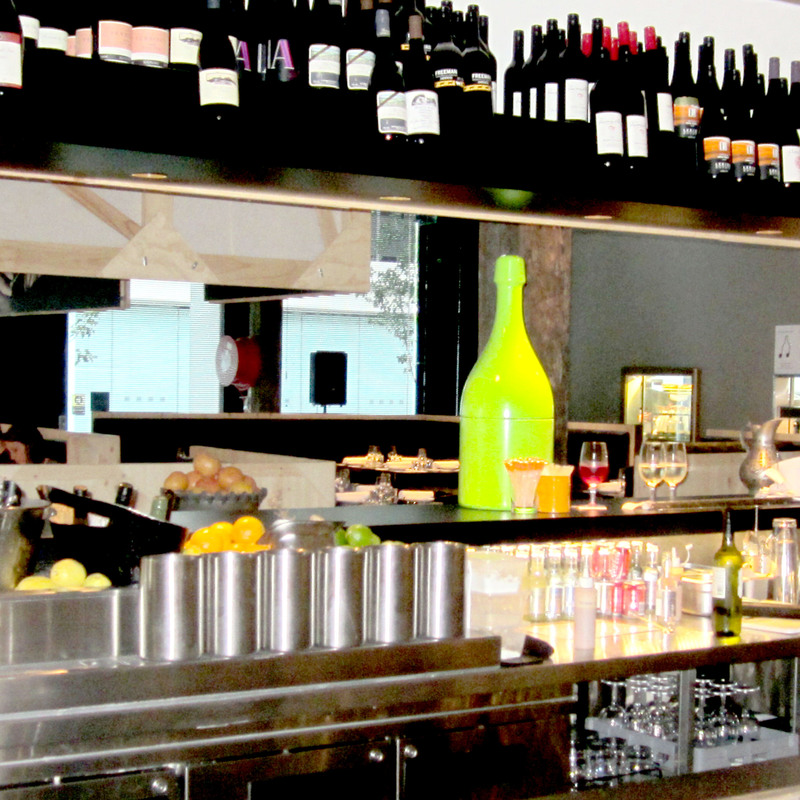 An architectural and gastronomic wonder, Neild Avenue is one of Sydney’s finest assets.